I'd like to share an EV charging calculator. It shows how much time and money it will take you to charge your electric vehicle. Use it if you plan to charge your EV at home, at work or at any AC charging point. The calculator is not applicable to DC charging stations, as DC fast charging works a bit differently. 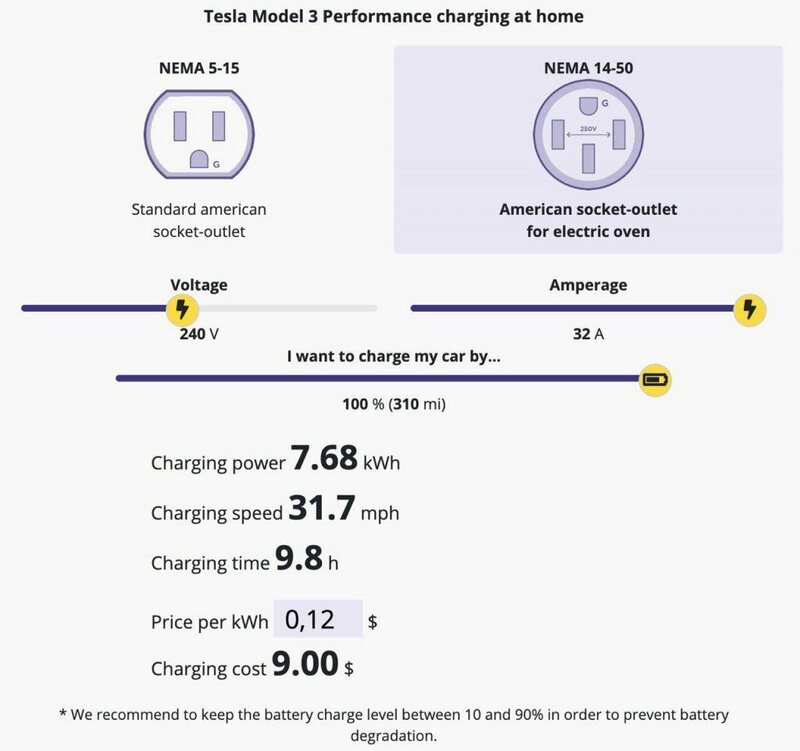 We promise to add a separate DC charging calculator in the near future! Pick your electric car from the dropdown list. Choose the socket you’re charging from or manually adjust voltage and amperage. Select how much you would like to charge your car. For example, you car’s battery has 25% left and you want to charge it up to 80%. In this case, move the slider to 65%. If you want to calculate the cost of charging, fill in how much you pay per kWh of electricity. All in all, we hope this calculator made EV charging simple. Your feedback (questions, comments or suggestions) will be appreciated!